On Wednesday 11 October, the ene.field partners hosted in Brussels the event “Fuel Cell micro-Cogeneration: Generating Sustainable Heat and Power for your Home”. The event, organised in partnership with the Fuel Cell and Hydrogen Joint Undertaking (FCH JU), celebrated the successful end of ene.field and presented its final results, while officially introducing its successor PACE. The event was joined by more than 100 participants from the heating and energy industry, policymakers, academic community, press and civil society, who, as a cherry on the cake, had the opportunity to take a closer look at the Fuel Cell micro-Cogeneration units on display at the event’s exhibition. 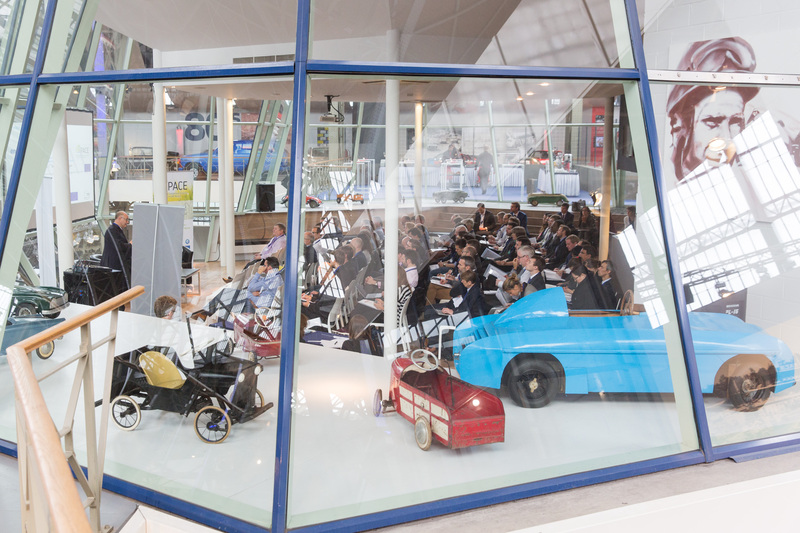 The presentations of the event can be downloaded on the ene.field website and further information is available in the last ene.field press release. With the project coming to an end, the main ene.field results have been collected and the reports are available on ene.field website. A summary of the results is included in the report “Learning points from demonstration of 1,000 fuel cell based micro-CHP units”. 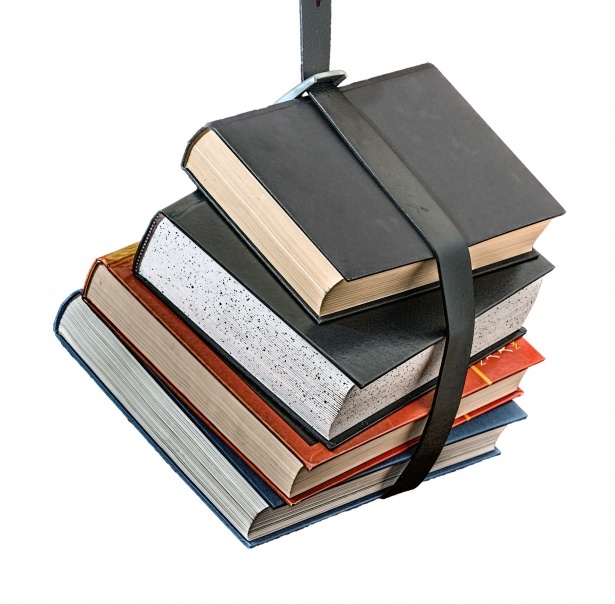 This report demonstrates that the technology is market ready. The report authored by Imperial College London, “Benefits of Widespread Deployment of Fuel Cell micro-Cogeneration in Securing and Decarbonising the Future European Electricity System”, presents analyses of the impact of micro-Cogeneration on the capacity and operation of the electricity systems across Europe, and delivers concrete and positive results about the impact of the technology on CO2 emission reductions. ene.field also highlighted the need to establish the right policy environment to encourage wide deployment of Fuel Cell micro-Cogeneration in Europe. A policy framework should be developed which creates a level playing field where renewables, decarbonisation and efficiency can be delivered across different technologies and energy vectors (e.g. electricity, heat, gas). Key policy recommendations are available in the ene.field Policy Report. For these and more ene.field results, check the reports published on the ene.field website. If you want to find out more on how it works, how you can benefit from it today, how it supports the European energy transition and the decarbonisation of heat, watch the two ene.field videos below. The videos were created to celebrate the success and achievements of ene.field and were shown for the very first time during the ene.field final dissemination event (Brussels, 11th October 2017) in front of more than 100 engaged participants from across Europe and beyond, representing European Institutions, heating and energy industry, regional policymakers, academic community, press and civil society. Celebrating more than 1,000 ene.field units in Europe! Europe’s Fuel Cell micro-Cogeneration industry received a major boost in August 2017 with the announcement that ene.field successfully achieved (and even surpassed!) its ambitious target to deploy 1,000 units across 10 European countries. 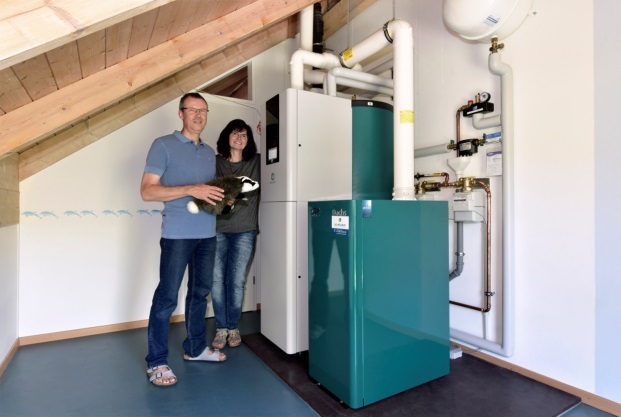 Thanks to ene.field, more than 1,000 Fuel Cell micro-Cogeneration units are already in people’s homes today and Europe can now reap the energy and climate benefits of the latest smart energy solution for private homes. The ene.field project – co-funded by industry and the European Commission’s Fuel Cells and Hydrogen Joint Undertaking (FCH-JU) – has run from 2012 to 2017, featuring 10 key European Fuel Cell micro-Cogeneration manufacturers, as well as utilities, research institutes, universities, dissemination and coordination partners in its consortium. The project has been awarded a grant of almost 26 million euro as co-funding to the total costs of 52 million euro, which makes it Europe’s largest demonstration project of micro-Cogeneration to date. 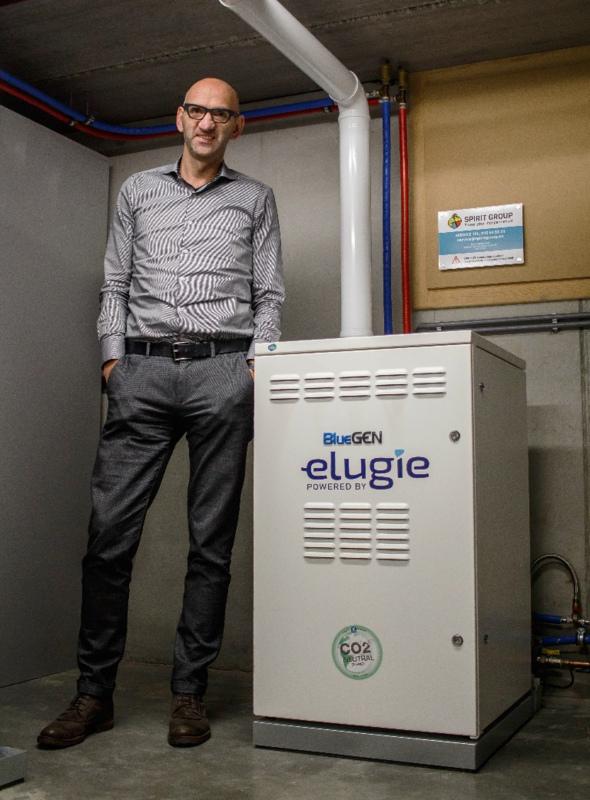 Mr. Van Den Berg from Westerlo, Northern Belgium, is very satisfied with the performance of his BlueGen Fuel Cell micro-Cogeneration unit, supplied by ene.field partner SOLIDpower. His ene.field unit allows him to reduce his energy costs and become independent from the continuously growing prices for power from the grid. The BlueGen has empowered him to cover most of his electricity needs through self-generation, reducing his reliance on electricity imports from the grid from 15.000 kWh to 2.500 kWh. Talking about his SenerTec Dachs InnoGen unit, installed in the framework of ene.field, Mr. Dilger (Freiburg im Breisgau, Germany) said: “The opportunity to be less dependent on rising energy costs and be among the first to demonstrate the possibilities of the new technology as part of the EU-funded project ene.field has defined our decision to opt for a high-efficiency cogeneration unit like the Dachs”. The Dilger family gets nearly 100% of their heat demand from the unit which also produces 50% of their electricity demand, thus bringing down their energy bill by 700 euro per year. To read the full story, follow this link. The partners of the PACE project, the successor of the ene.field project, are glad to announce the launch of the PACE website and the Twitter account. PACE is a major EU project unlocking the large scale European deployment of the latest smart energy solution for private homes, Fuel Cell micro-Cogeneration. Co-funded by the Fuel Cells and Hydrogen Joint Undertaking (FCH JU), PACE will see over 2,500 householders across Europe reaping the benefits of this home energy system. The project will enable manufacturers to move towards product industrialisation and will foster market development at the national level by engaging building professionals and the wider energy community. If you would like to know more about PACE, if you wish to be the first one to read its reports, and if you don’t want to miss the latest news on the project, visit www.pace-energy.eu and follow @PACEmCHP on Twitter using #PACEmCHP!